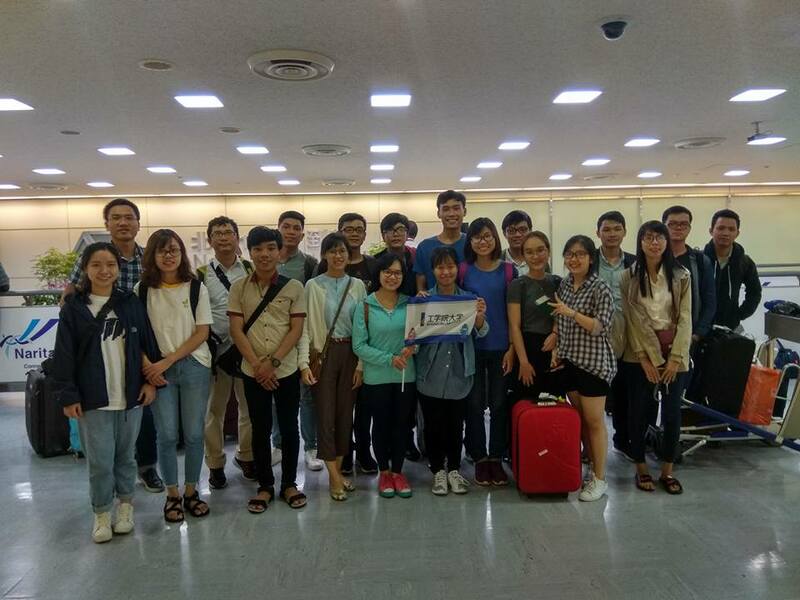 TOKYO/DANANG - Warmly welcomed by Ms. Nakamura and Mr. Yamaguchi, and two staff from Kogakuin University (KU), lecturers and students from the University of Danang – University of Science and Technology (DUT) arrived at Narita International Airport (Tokyo, Japan) in the evening of July 27th, 2017. After two hours of awe and surprises glancing to Obaida, Shinjuku and other Tokyo’s districts through the bus window from the airport to KU’s Hachioji Campus, the DUT’s delegation was housed in Shofusya Dorm, a beautiful dormitory with modern exterior and traditional interior reflecting strong Japanese characteristics. For some students and lecturers this is the first time they enjoyed the traditional Japanese tatamis. The purpose of this Summer Camp is to promote academic exchange and explore opportunities for academic collaboration between the two Universities. Dr. Nguyen Hong Ngoc, Dr. Ninh Khanh Duy, and Dr. Pham Minh Tuan led the DUT’s team including eighteen students from Faculties of Architecture, Information Technology, Civil Engineering, PFIEV and Project Management. This is the second time this special program was organized. The Summer Camp was sponsored by Mr. Tanobe, a sussefful businessman and the former president of Kogakuin Alumni Association. Mr. Tanobe is also preserve special attachment to Vietnam. DUT’s delegation took a picture after arriving at Narita Airport. 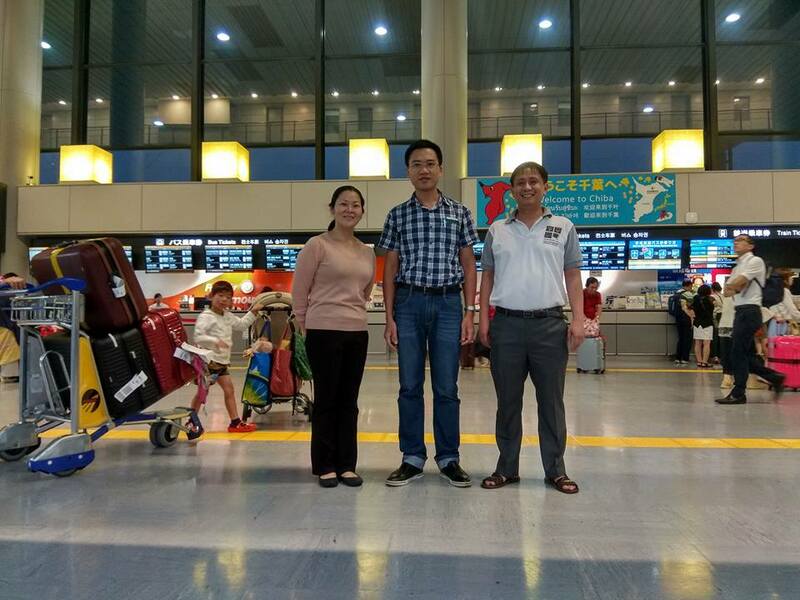 Ms. Nakamura Yoko, the assistant to the Office of the President, Kogakuin University, met DUT’s delegates at Narita Airport. DUT’s IT team took photograph in front of Shofusya Dorm. 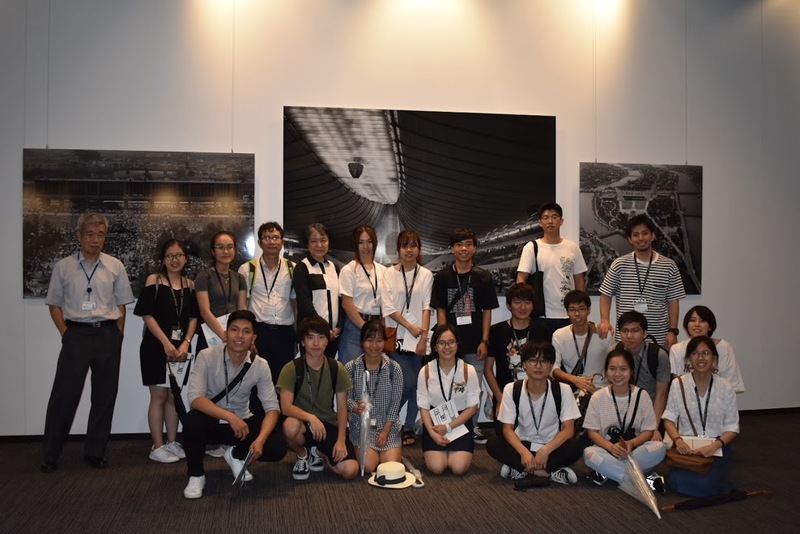 - July 28th , the two Architecture and IT teams went on campus and lab tours, and attended the Orientation session at Hachioji Campus. 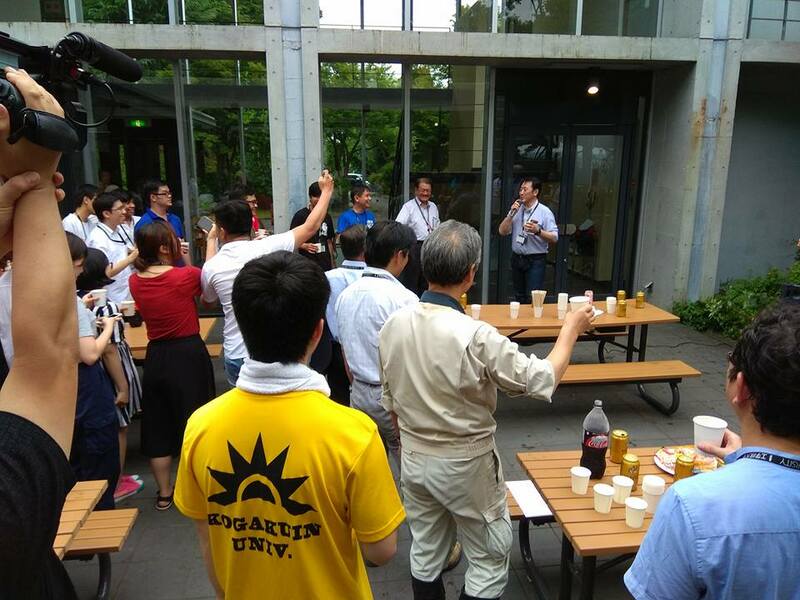 In the evening, the delegation was greeted by a fabulous Welcome Party with the presence of the President Sato, the Vice-President Watanabe, and Mr. Tanobe, KU’s professors, and students. DUT’s student visited KU’s library. 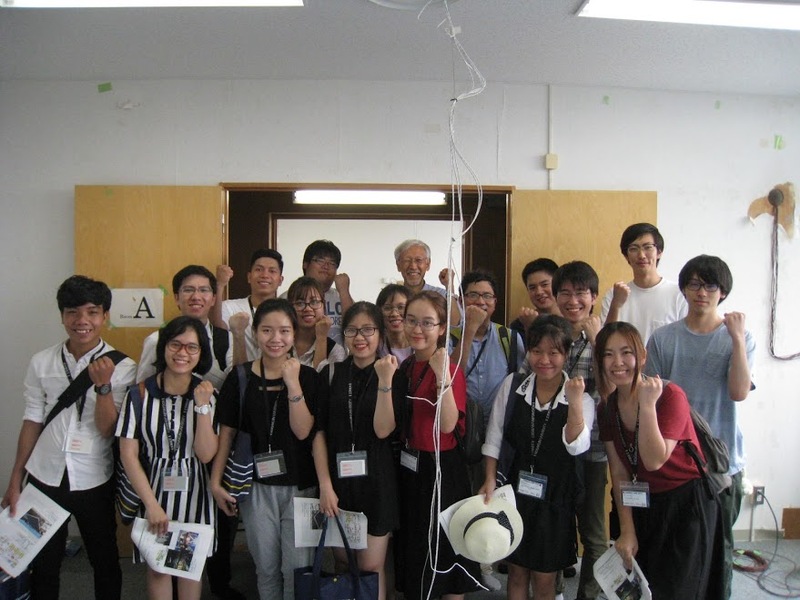 A welcome party organized by the President Mitsunobu Sato, Professor Watanabe – Vice President of KU, Mr. Tanobe – the sponsor of this program, and professors and students from KU. Dr. Nguyen Hong Ngoc took the picture with President Sato (left) and Mr. Tanobe (right). - July 29th, the Architecture team went to Odaiba, an artificial island built on Tokyo Bay. The team spent all day in Miraikan, the National Museum of Emerging Science and Innovation. Meanwhile, the IT team prepared and participated in a programming contest following ACM’s style. This contest involved students from both DUT and KU. Students from KU and DUT were participating in the ACM programming contest. Students from DUT won the first, second, and third prizes. a KU’s student won the fourth prize. - July 30th is the free day for both of teams. 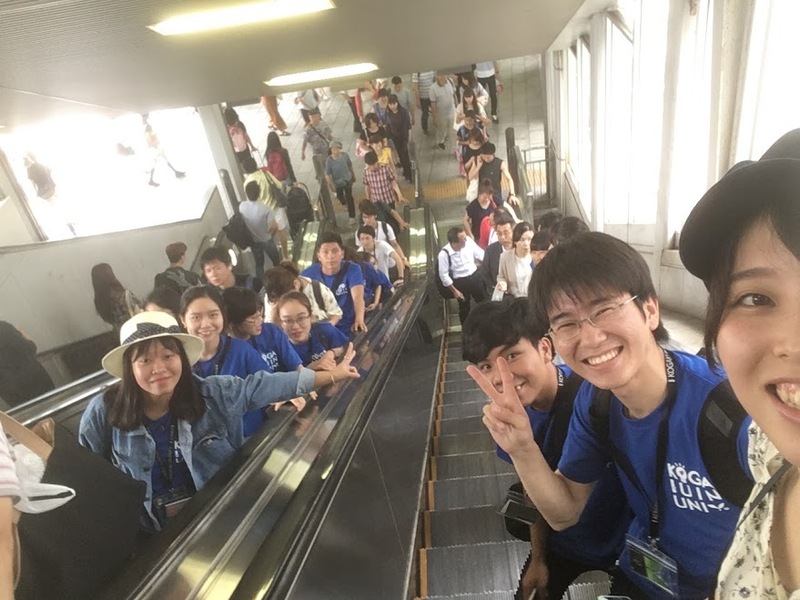 Through the advanced arrangement, the architecture group went on the special tour in downtown Tokyo. Mr. Ho Thanh Son, a DUT’s architecture alumnus who practices architecture in Tokyo and the other two Japanese graduate students that went to DUT before, Mr. Watanabe and Mr. Sirai, led the tour. The architecture group visited Asakusa Temple, Museum of Western Art in Ueno Park, and Tokyo Metropolitan Government Office (the latter is designed by the famous architect, Mr. Tangze Kendo). Meanwhile, the IT group went with Professor Tachibana from KU’s Department of Informatics, for visiting Asakusa Temple and Akihabara town in downtown Tokyo. The latter is known as the paradise for electronic devices and amusement places. By the end of the afternoon, Prof. Tachibana took the group’s members to a spa for enjoying onsen (hot spring bath), a unique specialty of Japanese culture. 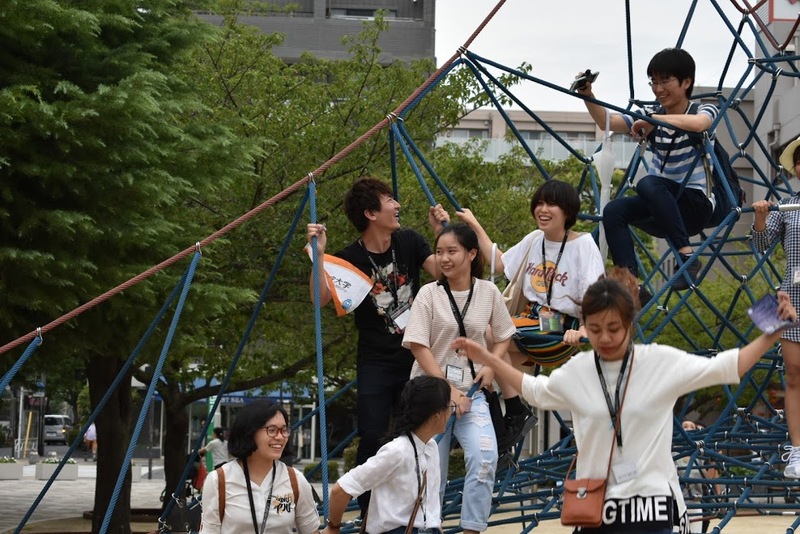 - July 31st: the Architecture and IT groups visited KU’s Shinjuku Campus in downtown Tokyo. Many students were impressed by spacious studios and state-of-the-art facilities of the KU’s Faculties of Architecture and IT. 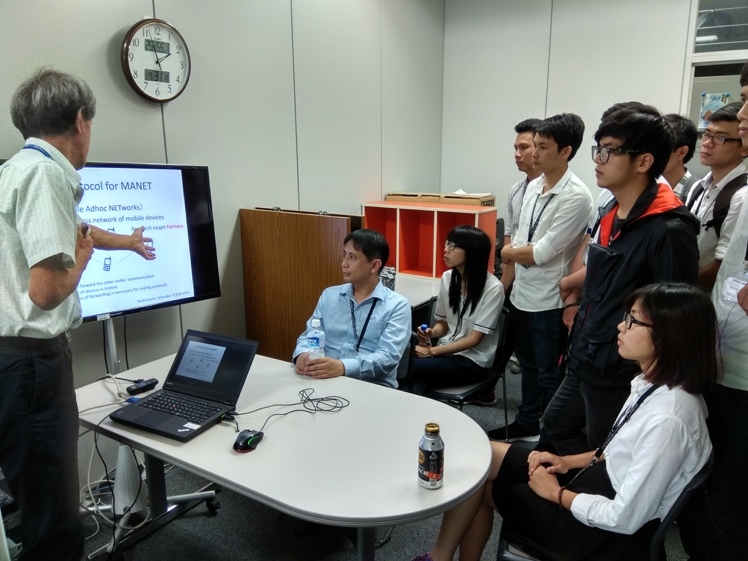 In the afternoon, the Architecture group toured Shimizu Institute of Technology, an R&D component of Shimizu Corporation, the largest construction company in Japan. 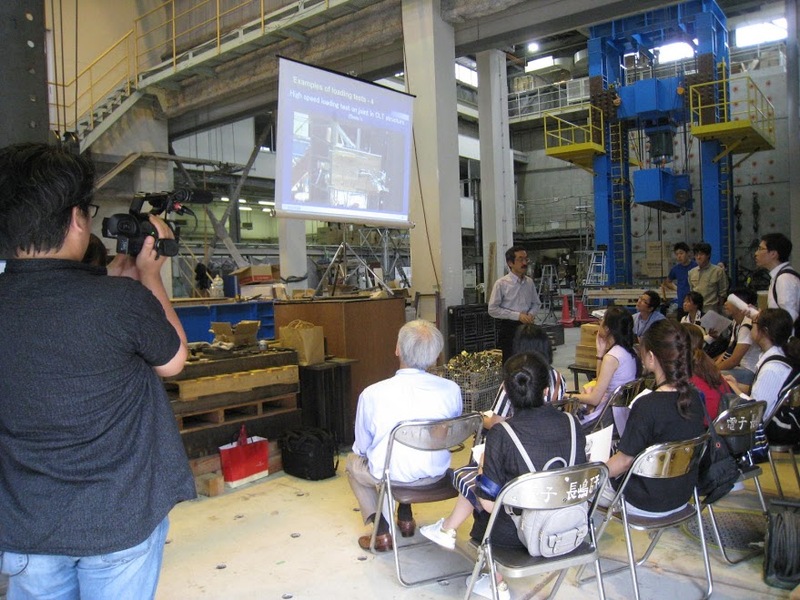 They learned about Shimizu’s innovations in anti-seismic structure and wind tunnel’s experiment for testing building’s shape and structure. Meanwhile, the IT group visited labs in Department of Informatics of the campus. The KU’s professors and students introduced DUT’s students and lecturers about their researches in various areas of IT. Lab tour in Department of Informatics. 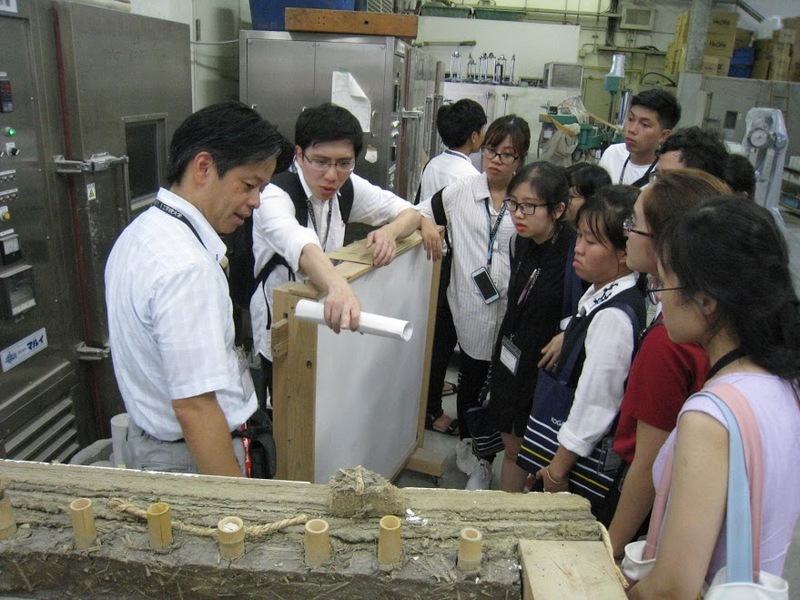 Professor Masaki Tamura introduced DUT’s students and lecturers traditional wall structures in material lab. 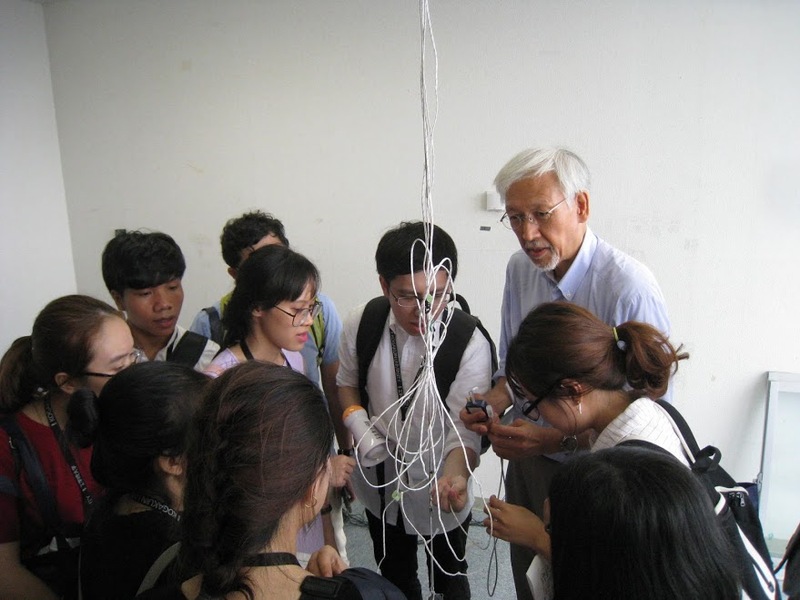 - August 1st: the Architecture group went to architecture tour led by Professor Kinoshita. Many of the most important architecture in Tokyo were covered in this tour: The 1964’s National Olympic Stadium by Tange Kenzo, Hokusai Museum, the National Galleries of Architecture, the Omotesando Hill where most of the contemporary Japanese architecture built. They also went to the Arch-Depot where models of famous architecture projects are held, the. This is also a busy day for the IT group. 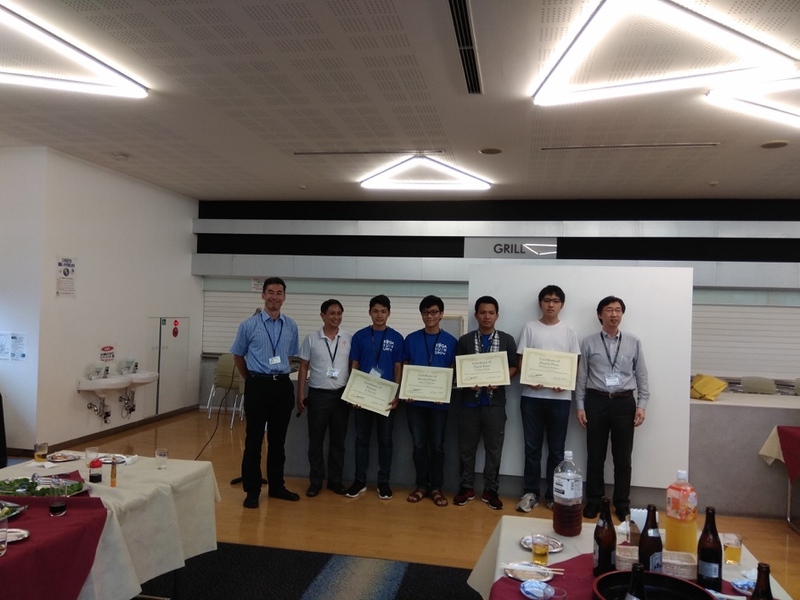 Students and professors had a long trip to Nagoya with Professor Tachibana for attending the Symposium held by Nagoya Institute of Technology. 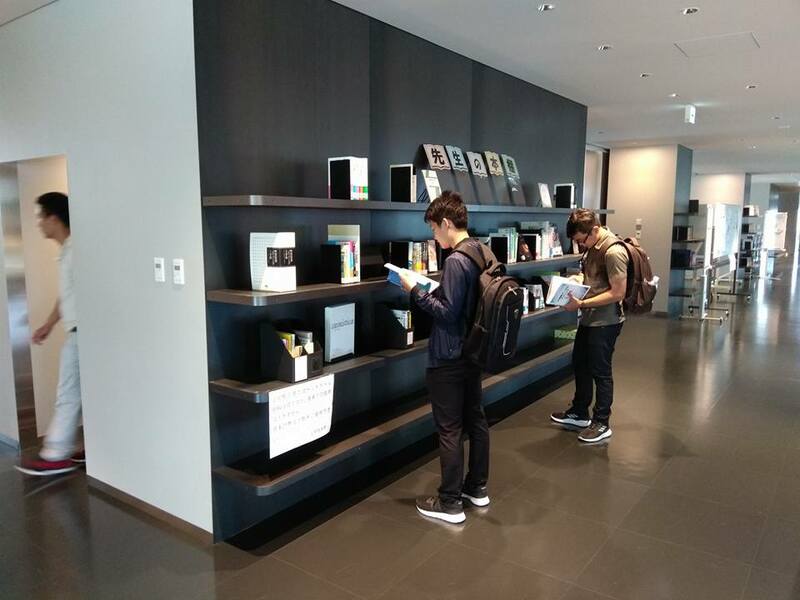 The symposium is organized by the Task Force named “Prediction from Motion Mode” which started from April 2017 with the support of the Japan Society for Fuzzy Theory and Intelligent Informatics. 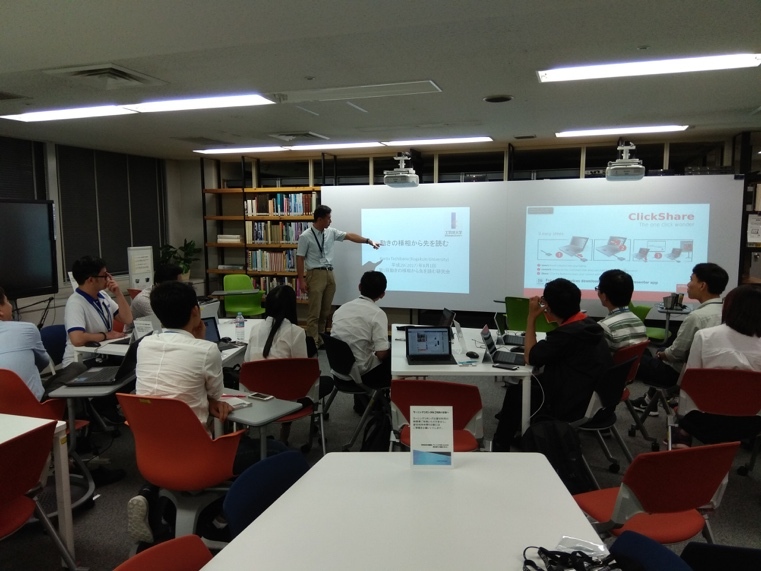 The IT students had a great chance to listen to presentations from Japanese researchers on interesting topics including autonomous driving, image/movie recognition, Bayesian filtering, deep neural networks, evolutionary computation, and probabilistic robotics and other various topics. Dr. Pham Minh Tuan gave a Keynote Talk in this Symposium. IT group waited for the shinkansen (bullet train) to Nagoya. Professor Tachibana was on the far- left. Discussion in the Symposium’s room. This is a memorable trip with eye-opening experiences for DUT’s students and lecturers. The students have learned a lot about Japanese society, people, culture, work ethic, to name just a few. Last but not least, DUT’s students and lecturers have built up their physical stamina by returning the hill-top dormitory ending each day of their tour!